It's not St. Patrick's day in Steamboat Springs without a Torchlight Parade & Fireworks show on the mountain. The fun starts at 8pm tonight. More: The Steamboat Ski & Snowboard School treats tourists and locals to a spectacular on-snow parade down the mountain lit only by torches for this St. Patty's Day event. In conjunction with the torchlight parade, a fireworks display will illuminate the sky providing a perfect ending to the evening. The show is free and great for all ages. 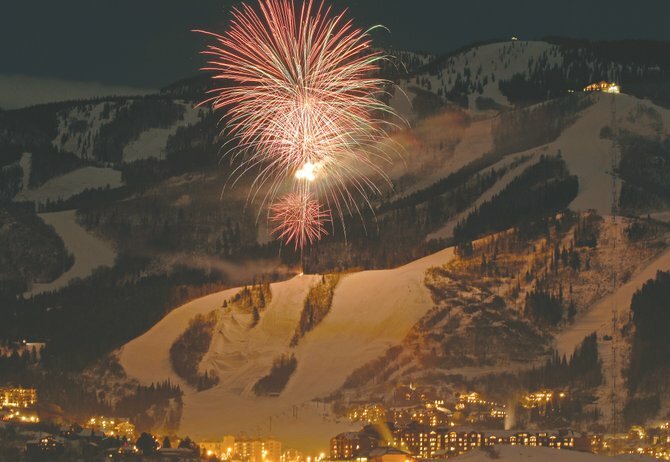 Steamboat also holds parade/fireworks shows on New Year's Eve and Valentine's Day each year.